Black Radler is unique on the Croatian market, which is why it is so recognizable. It was introduced in 2012 and we take special pride in it. 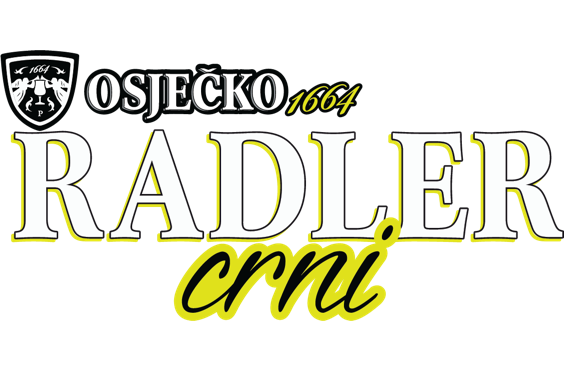 This special Radler is made of the best Osječko Dark Beer and invigorating fruit juice, which make for the best refreshment. According to a long-known legend, Radler was created when one creative Bavarian innkeeper faced a huge number of incoming cyclists-vacationists. When he realized that he would not have enough beer to quench everyone’s thirst, he remembered his huge inventory of lemon juice, so he served it then and there and named it – Radlermass (cyclist’s litre). Special intertwining of aromas of lemon, orange, caramel and hops with lots of bubbles enable Osječko Black Radler to be the best refreshment for everyone in need of rest. A lot of useful minerals, vitamins, proteins and fibres feed a tired body and mind. Hundreds of thousands of Croats have recognized that thus far. Osječko Black Radler brings local tradition both to the national market and to the Far East, where it is particularly popular in China. Thanks to its mild and refreshing taste, it is also suitable for people who rarely drink dark beer. That is why it is loved by the people not used to strong, bitter aromas that are usually characteristic of dark beers, so it makes for a perfect introduction to the richness of beer flavours.